Sand Filter - Anthony Pool Service - Cleaning Pool Service Pool Service, Pool Cleaning, Pool Maintenance, Pool Shop. 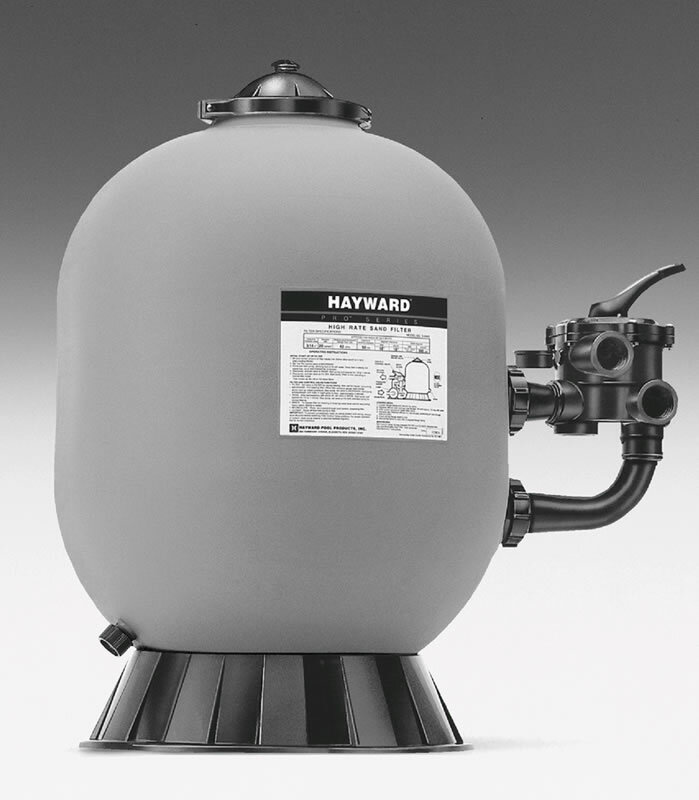 Hayward Pro-Series sand filters are the latest in pool filter technology. With very minimal maintenance they produce crystal clear, sparkling water. Moulded of durable, corrosion proof materials, featuring attractive unitised construction, and self cleaning 360° slotted laterals for smooth, efficient flow and totally balanced backwashing. Supplied with a 6 position Hayward Vari-Flo control valve, the Pro-Series sets a new standard for performance, value and dependability. Incorporating the many advanced features of Hayward's Pro-Series™ Side Mount, the Pro-Series Plus satisfies the requirements of even the most demanding installations, including pools installed with in-floor cleaning systems, spas, fountains or solar heating systems. It's spherical tank design evenly distributes the high pressure and stress associated with these applications, resulting in greater strength and longer life. WATERMAID understands that your swimming pool is a major investment requiring a quality filtration system, essential in ensuring the future enjoyment and satisfaction of your investment. ONGA PANTERA SERIES II SAND FILTER 21"
Manufactured in Australia, the Onga® sand filter is made from UV stabilized high-density polyethylene. Incorporating the proven Sta-Rite multiport valve and under-drain lateral system, these filters are ideal for small to large domestic swimming pools and aquaculture. The reputation for durability and performance makes the Onga® range first choice for quality pool builders. 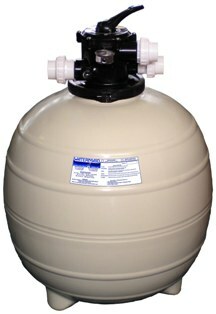 The Onga Sand Filter range is available in 3 sizes: 21 inch, 25 inch and 31 inch.